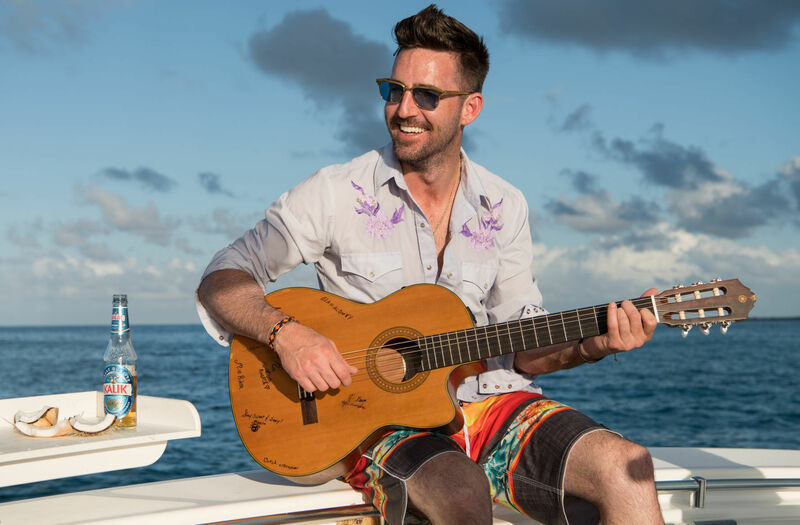 Country artist Jake Owen brings ‘Life’s Whatcha Make It’ Tour to Lindquist Field – GO! OGDEN — Country music star Jake Owen brings his “Life’s Whatcha Make It” Tour to Ogden this weekend, playing a rare concert on the home field of the minor league baseball team in town. The concert begins at 7 p.m. Saturday, Sept. 22, at Lindquist Field, 2330 Lincoln Ave. Tickets are $34.50 to $69.50, available through Smith’s Tix or the Lindquist Field box office. Owen has certainly made something of his life, parlaying a potentially career-ending sports injury into a wild 12-year ride in country music. He was headed for a career as a professional golfer — earning a golf scholarship to Florida State University after high school — when a water-skiing accident required shoulder surgery and ended his aspirations of a career in golf. Depressed over his change of fortunes, Owen borrowed a neighbor’s guitar, and the rest is history. Opening for Owen at Saturday’s concert will be Jordan Davis and Chris Janson. Dave Baggott, owner and president of the Ogden Raptors, said it’s been awhile since Lindquist Field has hosted a concert. Baggott said what attracted him most about Saturday’s concert is that it’s taking place after the baseball season. “The most appealing part is we don’t have to be as protective of things, because we don’t have to clean up to play a game tomorrow,” he said. What’s more, Baggott said the concert promoters for this show are also in the baseball business, so they understand the issues involved with using a ballfield. The stage will be set up at second base, facing home plate, according to Baggott. The infield will be covered with a “hard flooring surface” for the premium seating up front, and the baseball stands will be used for the rest of the seating. “With the stage that close, there won’t be a bad seat in the house,” Baggott said. Promoters are hoping to attract about 5,000 people for Saturday’s show. Baggot said he hasn’t gotten a report on how sales are going, but he’s cautiously optimistic. Baggott said he hopes to bring more concerts to the downtown baseball stadium in the future.